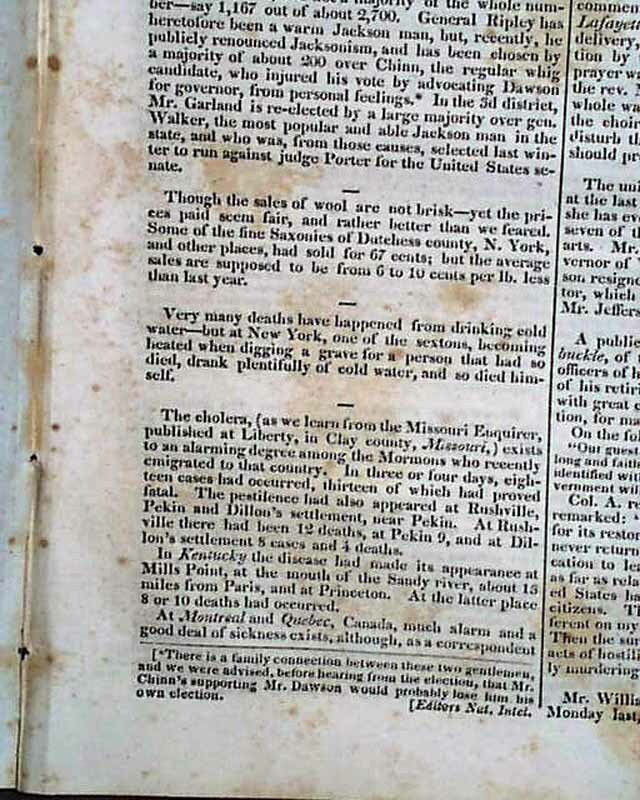 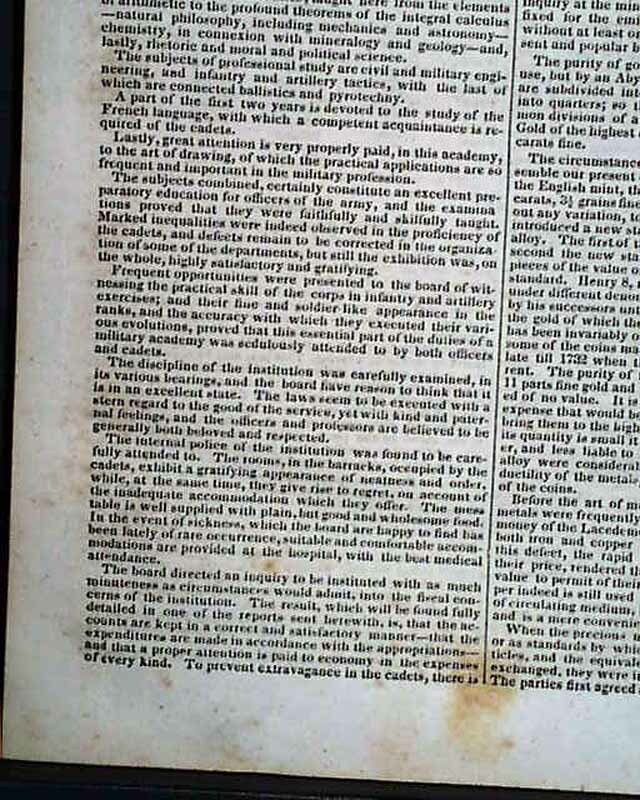 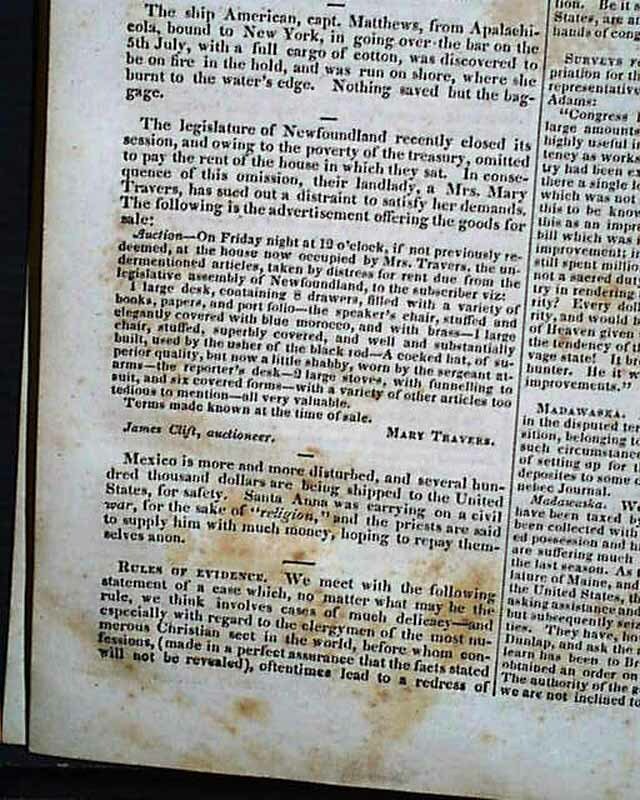 Page 3 has a curious item about death caused by drinking cold water (a common thought in the 19th century--see), followed by a report noting: "The cholera...exists to an alarming degree among the Mormons who recently emigrated to that country [Missouri]..." with a bit more (see photos). 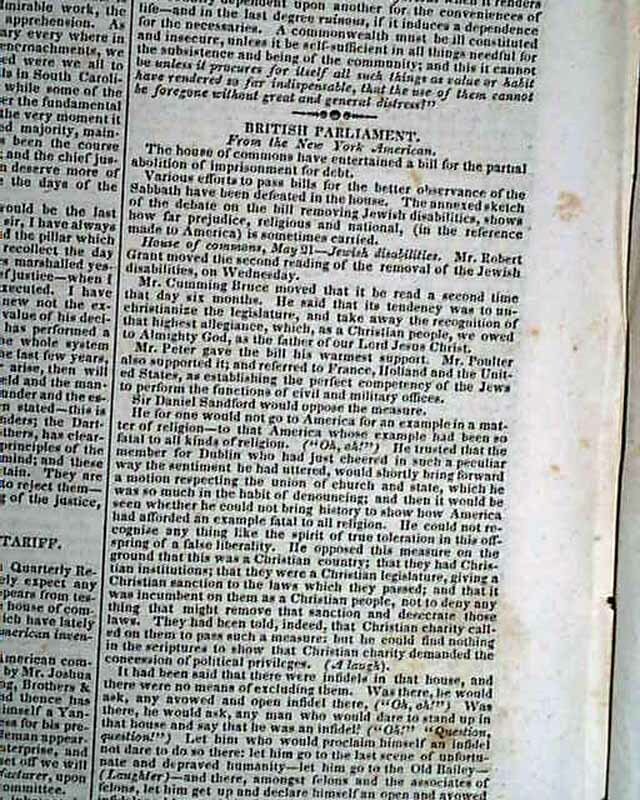 Another page has a report from the "British Parliament" which concerns "Jewish disabilities", concerning Jews being able to serve in Parliament (see photos). 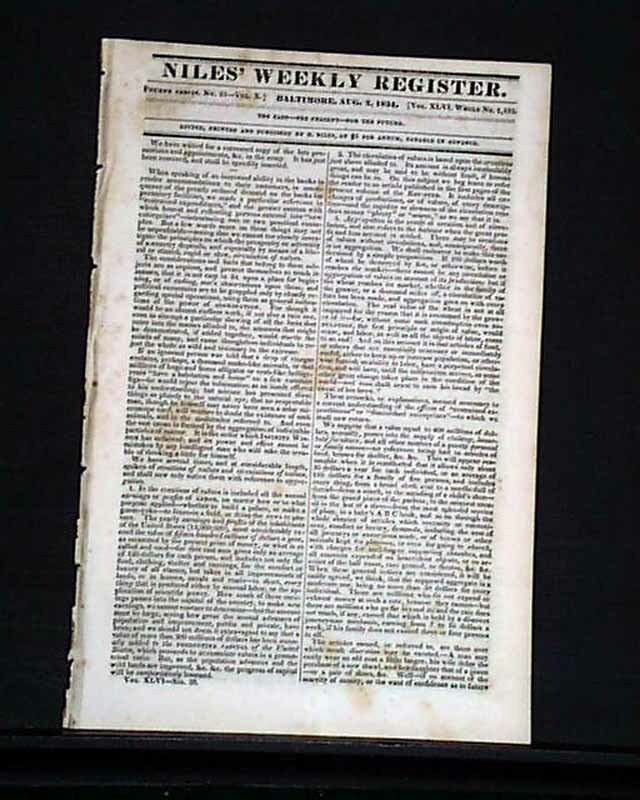 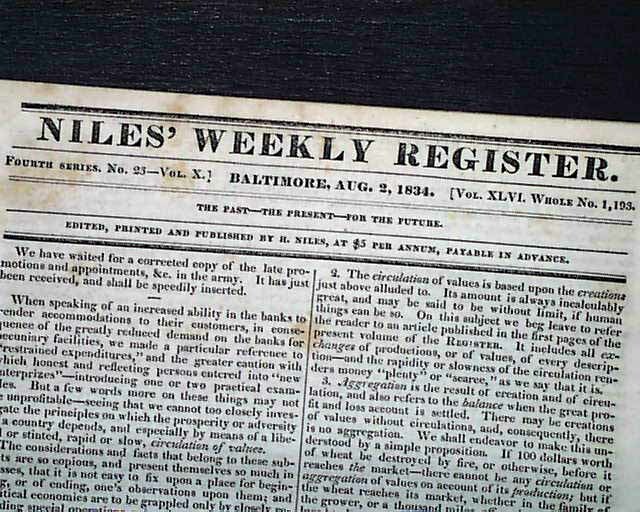 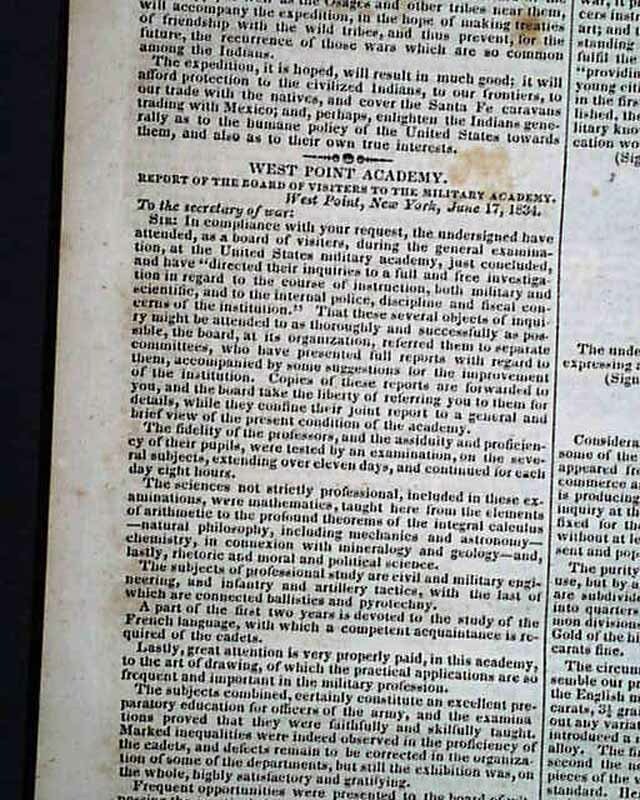 There is much more in this issue, including: "Gold Coins", various "Laws Of The United States" "West Point Academy" "The Coal Regions in Pennsylvania" "Power of Steam" and more. 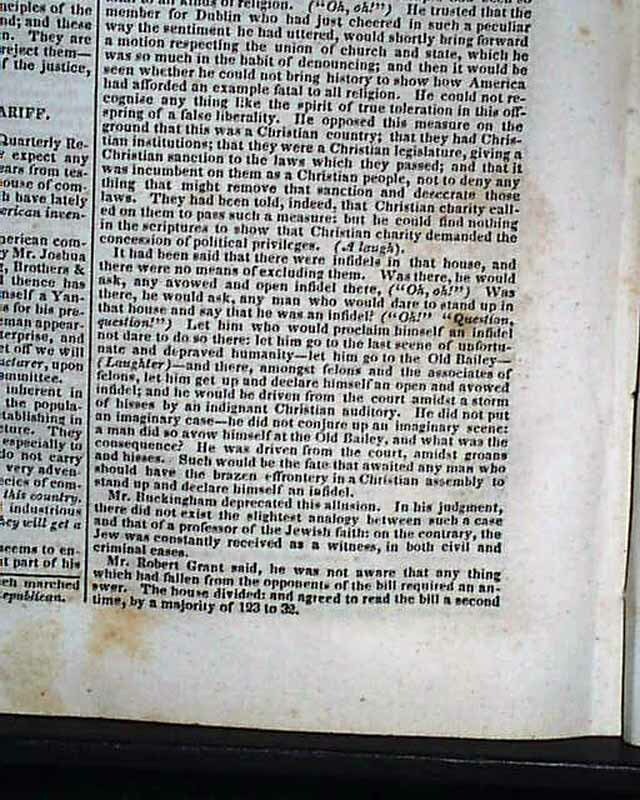 Sixteen pages, 6 1/4 by 9 1/4 inches, with very lite scattered foxing, otherwise in very nice condition.